Friends left a huge impact on the American society, starting from their influence on the English language (being the pioneers of using the phrase “friend zone”), over the vast increase of sarcasm usage in everyday life (thank you, Chandler), leaving a permanent mark on the fashion world (with Jennifer Aniston’s haircut being named “The Rachel”), to giving us numerous wedding tips - examples are almost uncountable. 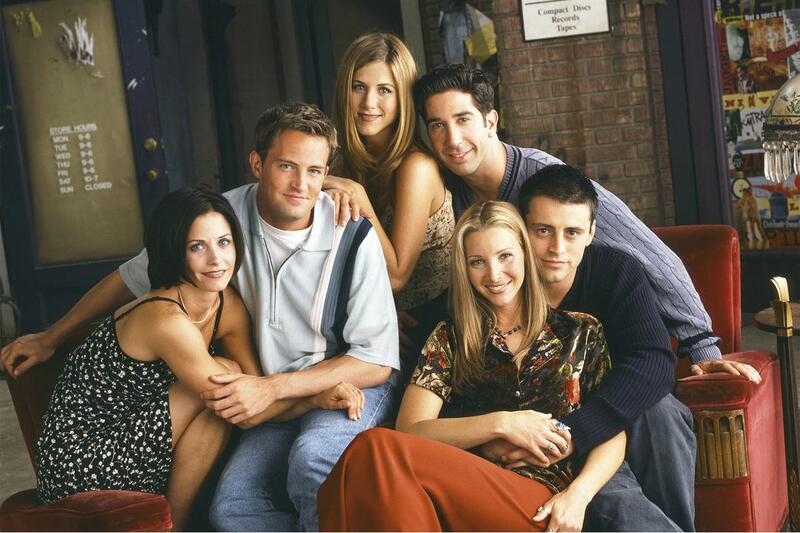 However, what was the Friends TV Show really about? This show was about love. Platonic love, the type you find in friendships, but romantic love as well. 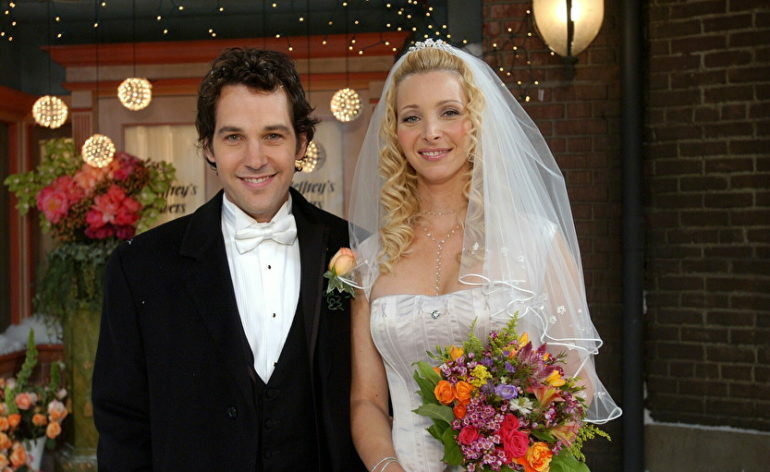 The series featured 8 weddings and 3 divorces (credits to Ross Geller - “The Divorce Force”), each telling a story about love, but also teaching us valuable lessons about the weddings in general. Guided by the ultimate wedding planner, Monica Geller, we present you 12 wedding tips by the Friends. Being organized is the mother of wedding tips (aside from being certain you’re marrying the right person, but we’ll get to that). 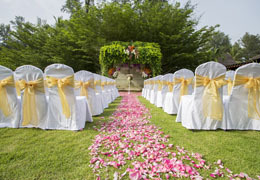 If you don’t think you can do it by yourself or want to avoid the stress - hire a wedding planner. On the other hand, if you’re feeling up to the challenge, be ready to step up your game and take some wedding tips. Do you remember Monica’s wedding planning binder? You’ll be needing one too. Start writing it down: Venue Info, Timeline Checklist, Guest List, Attendants’ Info, Maid of Honour and Best Man Duties Checklist, Assignments List (Who Does What), Planning Guide, Customs & Traditions, Budget Planner, Engagement Ring. Recommended Vendors, Vendor and Details Info, Music Checklist, Photography Lists, Day-Of Checklist and Emergency Kit List, Day-Of Schedule… are you getting dizzy? Maybe you should start looking for a wedding planner, we have a great list to get you started! Her wedding is the most important day of any bride’s life, it’s the day that belongs to her, that very special day on which you must never, and I mean never ever take the spotlight away from her. Brides usually dream about their wedding day ever since their childhood and when it finally starts approaching, days, weeks, months or even years are spent on planning that one perfect day. The bride will then have everyone’s attention, she will be the most beautiful one, and nothing even remotely important will happen on that day other than her wedding. On the night of Chandler’s proposal to Monica, she wanted everyone to gather for a drink and celebrate when she suddenly caught Ross and Rachel kissing and opening the question of potentially getting back together. 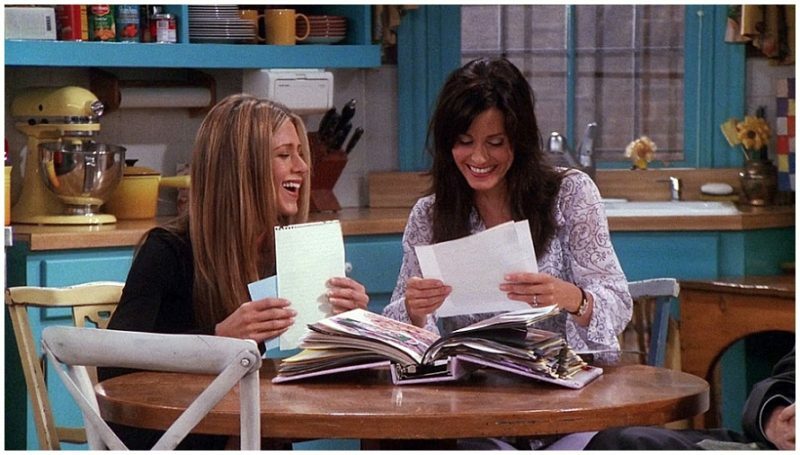 Rachel stole Monica’s thunder, and if you remember how that escalated, you’ll write this one down under wedding tips! 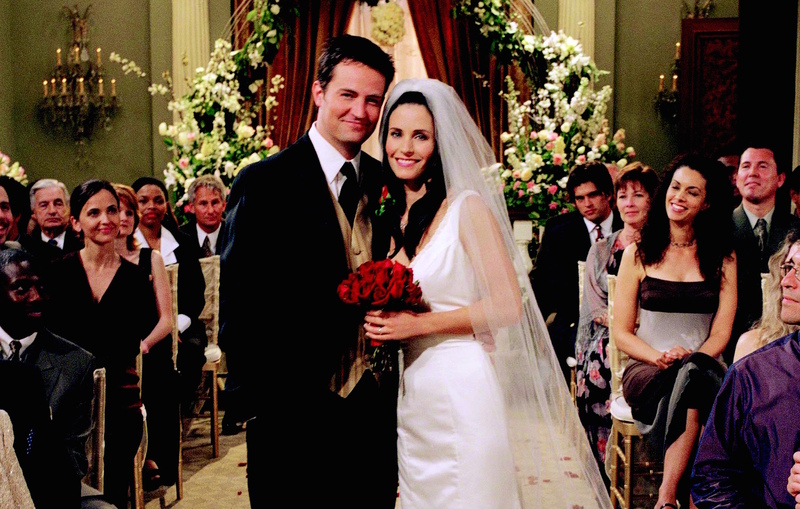 When Monica accepted Chandler’s proposal, the next step was buying the wedding dress. She went to an expensive wedding dress store to find the perfect dress, where she met Emily, who was accidentally also getting married. 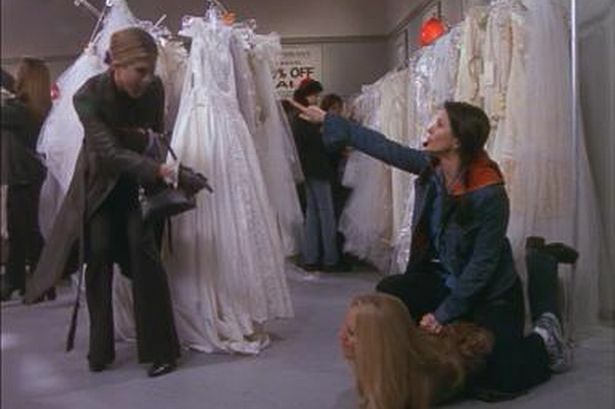 After Monica picked the perfect dress, she gave Emily a few wedding tips, mentioning a cheaper store where she will buy the same dress for a lower price. You should also check out affordable wedding dresses near you. You can filter the list further based on your location, type of services offered, provided props and more. She gathered with Rachel and Phoebe and explained the procedure while camping in front of the store. “There is usually only one size of each wedding dress, memorize it and blow the whistle when you find it.” Monica found the dress and as she was about to take it, someone else started to pull it from the other side - surprisingly, it was her friend Emily. Monica blew the whistle and fought her for the dress. Improvise. Adapt. Overcome. If you want it, get it. Your perfect dress belongs to you, don’t let anyone stop you from having it. Let’s face it - wearing the wedding dress makes you as beautiful as you can be. However, it’s not just about looking beautiful. It’s about feeling beautiful. Surely when you’re wearing high heels your legs look nice and long, but your feet wish they were dead. Well, these wedding tips and tricks will tell you that’s not the case with wedding dresses. If you are going to listen to these wedding planning tips for brides, don’t stop until you find the perfect one. Find a dress that will make you look as beautiful as a princess and make you feel as comfortable as your pajamas do. Don’t just try it out before buying it, wear it a bit, feel it on yourself. 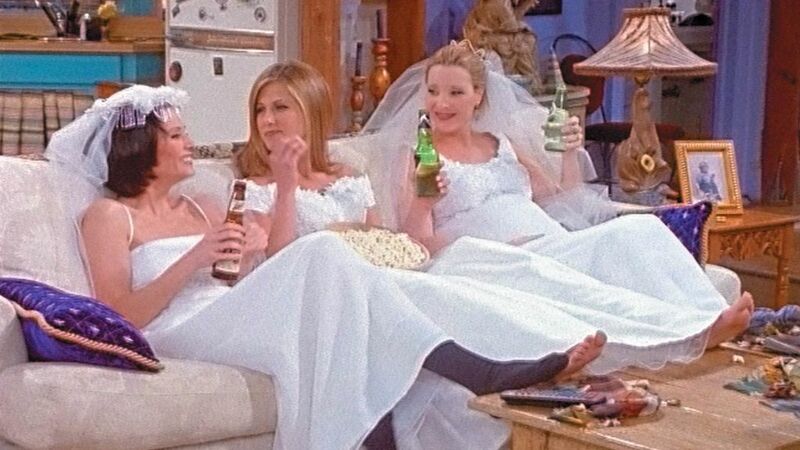 Maybe even chill on your couch with your friends who are also wearing wedding dresses…? Well, whatever rows your boat. Given that her wedding is a bride’s most important day, naturally, it carries a lot of stress with it. There are numerous things to be taken care of (as mentioned before) and everything must go as planned. Don’t be surprised to see the bride go completely berserk while planning her wedding. If the bride decides to hire a wedding planner, she is handing them over a huge task. As a wise man once said, “With great power comes great responsibility”. While wedding planner is doing a majority of work, the bride still needs to be included and give some wedding tips for vendors. Simple as it seems, actually it’s not. Pushing the bride to make a decision can be very stressful for her, so don’t do it. Be patient and understanding. She probably has more on her mind than you can even imagine, and additional pressure could just be the breaking point, as seen with Phoebe while Monica was overdoing the wedding tips. If you see the right ring, don’t wait! Chandler had a tough time picking the perfect ring, but accompanied by his “bargaining expert” friend Phoebe, he managed to find it. 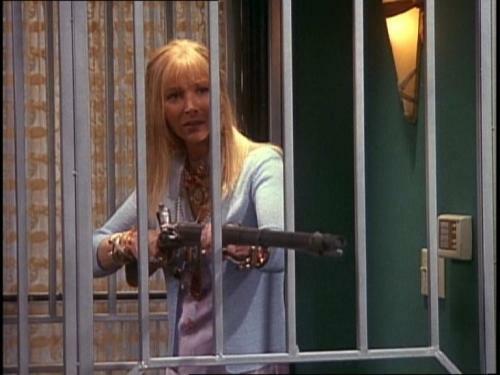 Unfortunately, Chandler forgot his credit card and had to go back for it, leaving Phoebe with the duty of guarding the precious ring. 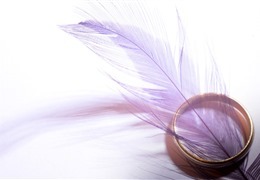 If you're looking for the perfect wedding ring, take a look at this list and maybe you won't be needing a guard! Unless you want to chase another couple and beg them to trade you the perfect ring for a “gumball machine” looking ring, one of the wedding tips is to bring your credit card with you. One ring to make her fall in love. Don’t risk it. Well, this is easy, right? Sure it is if you’re marrying the right person. 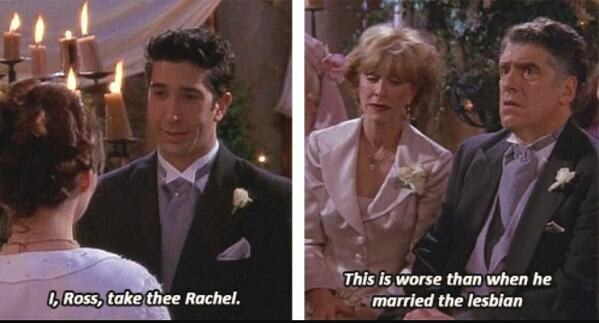 Ross managed to create an absolute catastrophe at one of his numerous weddings when instead of Emily, he said Rachel. Out of sight, but not out of mind. Funny as this moment seemed to viewers, it was actually one of the most valuable wedding tips. Listen to your heart. Don’t get married if your baggage is heavier than you can carry. Don’t run away on your wedding day! This one seems pretty self-explanatory, doesn’t it, just don’t run away on your wedding day? Well, it’s not. Do run away at your wedding if you think you would be making a mistake. Rachel thought that marrying Barry was a mistake, and after she ran away, she turned her whole life around. She became independent, pursued her career, fell in love, and most importantly, made the six “Friends” happen. On the other hand, do not run away on your wedding day (except if you're planning an elopement than you should definitely refer to our list of wedding officiants that would help your plan come true!). 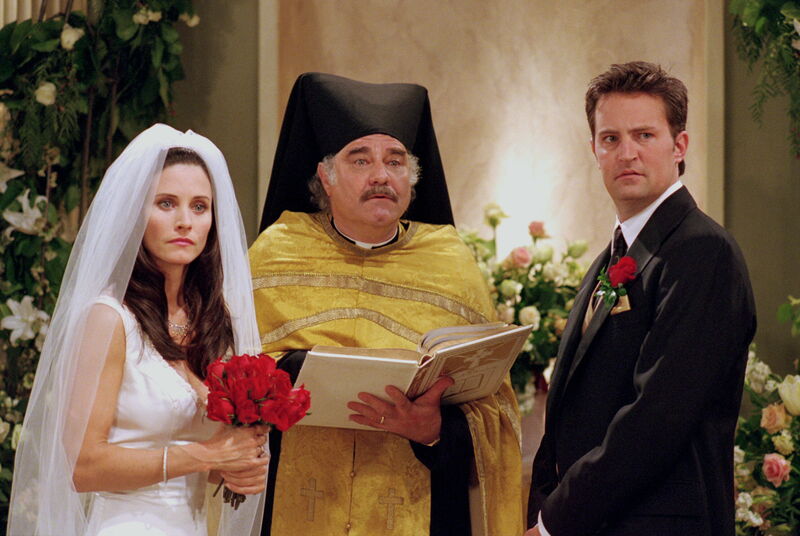 Chandler was about to run away at his wedding day and he would have been making the biggest mistake of his life. All that because he was scared. 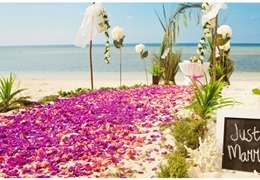 Some wedding tips for brides are to be considered twice. Your wedding is a huge milestone in your life. It’s okay to be scared, as long as you are certain in your heart. The first dance is perhaps the most beautiful and emotional part of every wedding. It is something the couple should be prepared for, preferably even take classes for! If you want to rock that first dance, you should definitely check out this list of first dance instructors. That moment when the music starts playing and all eyes are on the couple should be perfect. Aside from actually learning how to dance, avoid stepping on the bride’s foot and similar, Friends gave us another of many valuable wedding tips. Make sure the dance floor isn’t slippery!! Chandler gave us a hilarious presentation of what dancing on a slippery floor looks like, and unless you’re ready to be ice-skating on the dance floor, pick your shoes carefully! 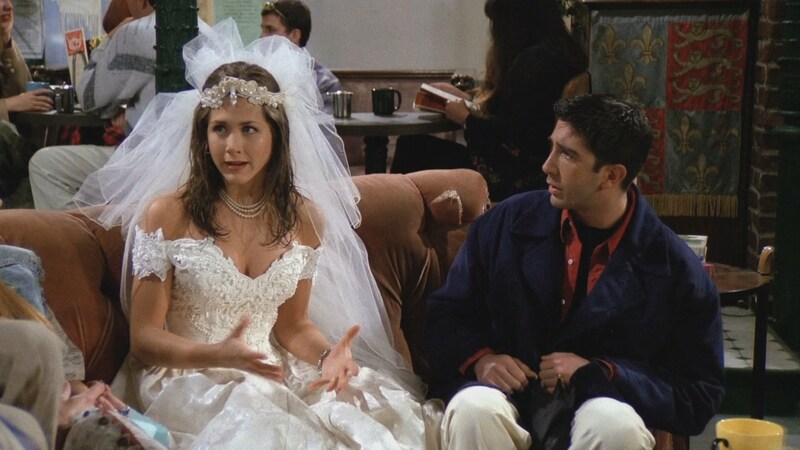 We witnessed a lot of unexpected complications in Friends weddings, but in the end, everything always worked out (regarding the wedding, not the marriage - thanks again, Ross). Be like Phoebe, she had a blizzard coming her way and still managed to have a beautiful wedding. If she could, so can you. Don’t postpone! Winter weddings are beautiful, but have a backup plan! Regardless of the blizzard, things worked out for Phoebe and she had a beautiful snowy wedding. However, she did almost freeze to death. If you’re a fan of freezing, then go for a snowy wedding! If not, maybe the next one among wedding tips should be: come up with a backup plan. You should always have a backup plan for an outdoor wedding. You can never know when to expect the rain, snow, hurricane, thunder - or a blizzard. Be ahead of the weather, have a plan B, be organized. Make Monica proud! Be organized, don’t steal the brides thunder, find a perfect dress, don’t pressure the bride, find a perfect ring, say the right name at the altar, don’t run away on your wedding day, have a safe dance floor, come up with a backup plan and go through with it. These are all great wedding tips, but most importantly, make sure the day is special. On her wedding day, the bride will stand proudly in front of everyone who cares about her as she looks into the eyes of the one promising to love her forever because she is just the right amount of everything wonderful. She'll have found her match; someone who isn't afraid to let everyone know that she is the most beautiful woman in the world. Alas, the rare jewel that she is has finally been discovered and stamped as CHOSEN for the entire world to see. If you read the entire article, by now you should know some of the important wedding tips Friends gave us. But what until then? What if there is no wedding planned yet? Don’t worry. 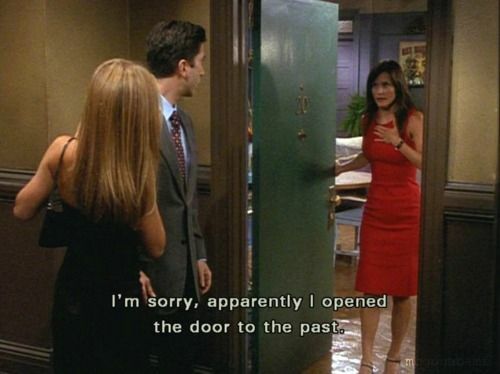 When Chandler and Monica hooked up for the first time, their first comment was how it felt surprisingly normal (just after Chandler saying that their friendship is effectively ruined). Your best friend knows you more than anyone else. They know how you think, how you feel, and what you need. Can romantic feelings disrupt a friendship like that? Yes. But is that a sacrifice worth making? Definitely yes. Maybe your marriage is closer than you think. Don’t be afraid to fall in love with your best friend.